Shagra Stone began writing in 2010 for LIVESTRONG.COM. She is a certified athletic trainer and a performance-enhancement and corrective exercise specialist. Her career has focused on injury prevention and health and wellness. Stone has a Bachelor of Science in kinesiology from San Jose State University. 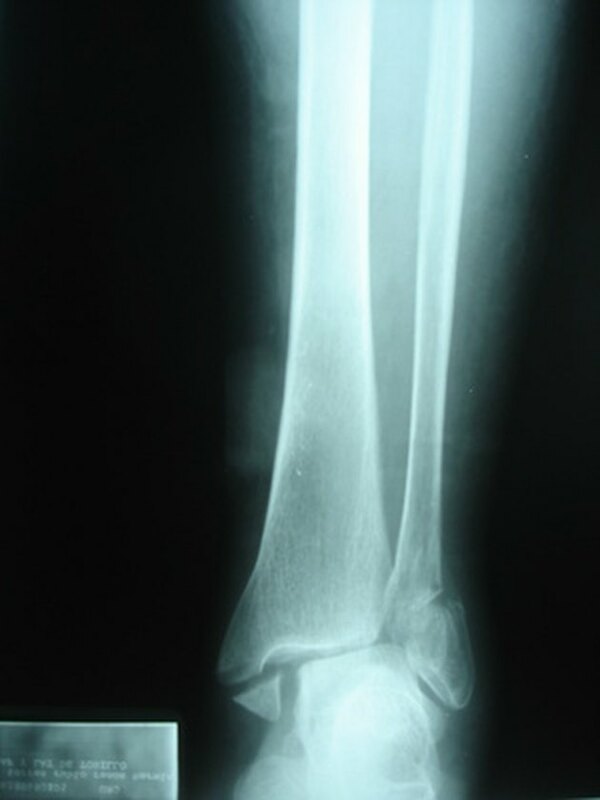 Ankle sprains are one of the most prevalent orthopedic injuries. Sufferers of ankle sprains are highly susceptible to recurrence. Ankle supports can help prevent repeated injury by stabilizing the ankle and limiting its range of motion. Choosing the correct ankle support can be difficult, as they have different sizes, types and functions. There are three types of sprains that occur at the ankle—lateral, medial and high. Lateral or outside ankle sprains are the most common. The “Journal of Athletic Training” reports 85 percent of all ankle sprains are lateral. Most braces are designed to prevent inversion ankle sprains. Medial, or inside and high, ankle sprains are less common. Nonetheless, ankle braces prevent excessive range of motion to prevent injury. There are three types of ankle brace—lace-up, post-injury and rigid braces. Low-end ankle braces can be found at commercial sporting goods stores. Higher-end supports must be ordered online or through medical supply companies. In severe cases ankle braces must be custom fit and ordered through a physician. Lace-up braces are semi-rigid and made from a nylon-vinyl material. The advantage of this brace is that it can be tightened according to the wearer's comfort level. The semi-rigid structure allows for more flexibility than a rigid brace. A lace-up brace can be used as a prophylactic. Lace-ups can be found in commercial sporting good stores, drug stores, or on-line. Prices range from $25 to $40. Post-injury braces are very rigid braces. They are either air-filled or gel-filled with two plastic panels that contour each side of the leg. There is a hinge that allows for plantarflexion and dorsiflexion. Post-injury braces are primarily used to push out swelling and prevent inversion and eversion. These types of braces are not intended for functional activity. Post-injury braces can be found at select pharmacies or through medical supply companies. Prices range from $30 to $40. Rigid braces come in two different types, stirrup or lace-up. They brace can be used in conjunction with rehabilitation of an injury. Stirrup braces allow the ankle to move up or down, and protect the ankle from rolling in or out. This brace has a high level of protection and is commonly used in volleyball and basketball due to the frequency of jumping. The lace-up brace has two plastic inserts on each side of the ankle to prevent inversion and eversion. Some brands have included straps that wrap around the ankle for additional support. These braces can be bought through medical supply companies. The two best-known brands are Active Ankle and Don-Joy. Prices range from $30 to $45.